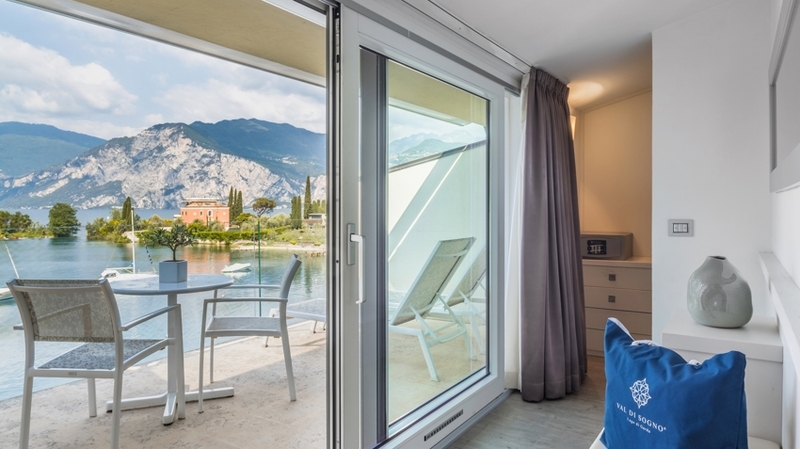 Our Hotel Val di Sogno is located in a quiet position directly at lake Garda, in the homonymous bay with its popular beach. 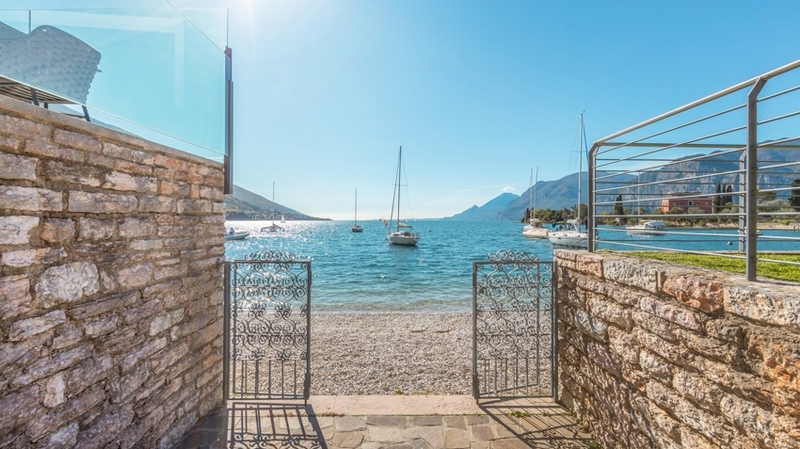 Only 2 km form the picturesque centre of Malcesine, you will look forward to a modern design, a dreamlike natural scenery, a familiar ambiance and to the excellent service of our Bonell family. Our family has come from South Tyrol to lake Garda about 40 years ago and has been establishing the hotel with loving care. The hearty hospitality has been transmitted also to the young generation, running the 4-star hotel with commitment and joy today. For our guests, we offer modern rooms with any comfort and a wonderful view of the natural landscape in Val di Sogno (Valley of dreams). Here, you can forget all your daily problems and completely relax. 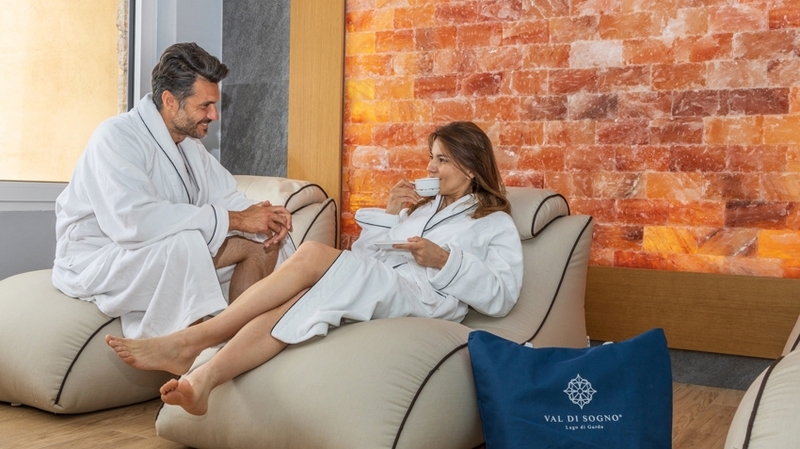 In addition to the magnificent beach, Hotel Val di Sogno offers a wellness area, which is reserved only for adults upon registration as well as for a small fee. 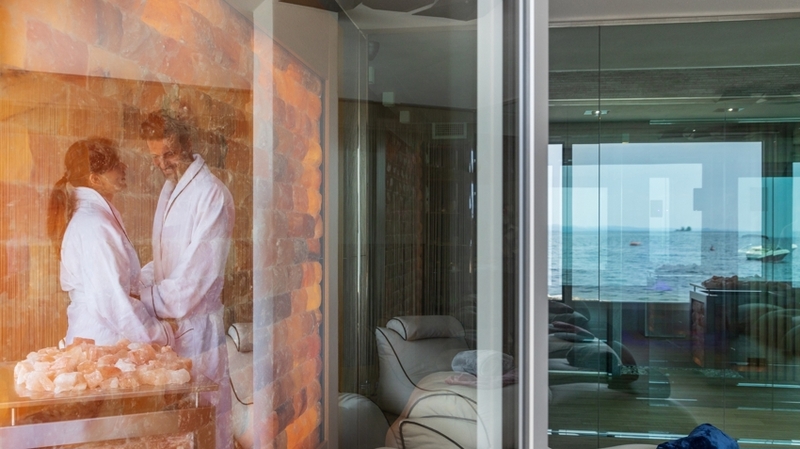 The Finnish sauna, the steam bath, the adventure showers, the ice fountain, the salt grotto and the relax area are perfect for regenerating. The heated outdoor pool with sunbeds is a highlight for kids and for those who love relaxing. Start your day right with our varied breakfast buffet. At lunch and at dinner we serve delicious À-la-carte menus on the terrace with lakeview. Suitable wines complete the culinary offer. As well, we offer cold and warm snacks as well as homemade cakes in the afternoon. The bay in front of the hotel is a paradise for bathing guests, water sports lovers and more. Within a distance of only 2 km, you can reach the historical centre of Malcesine with the characteristic castle, countless shops and the Palazzo dei Capitani. Starting in the centre, a comfortable cableway brings you directly to the hiking and mountain bike paradise Monte Baldo, which is also popular among paragliders and skiers. 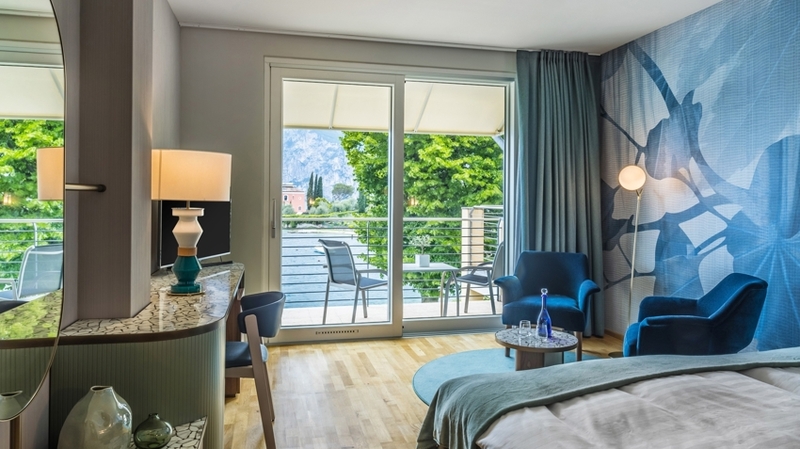 Our hotel is a swell a good starting point for excursions to Valpolicella wine-growing area, to the Varone waterfalls, in the Dolomites or in the cities of Verona, Trento and Rovereto. Our hotel also offers a bike rental and a bike garage. The exact location of paradise is unknown, but might very well be here. 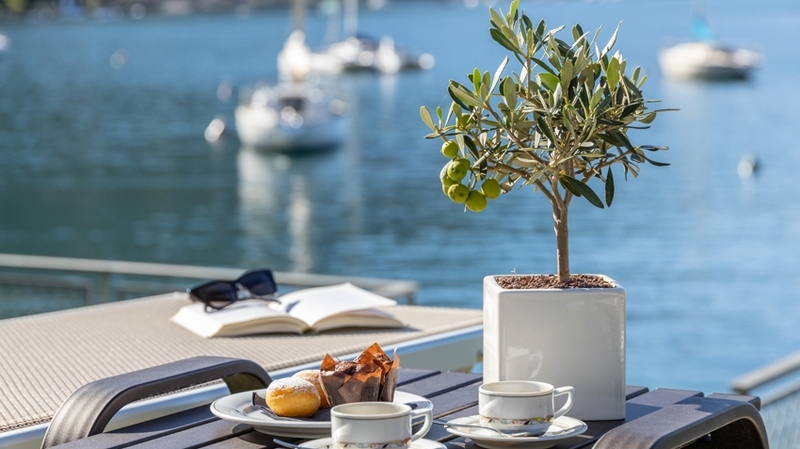 The Hotel Val di Sogno is a characteristic family-run ambience, signed by modern design, renowned for its accurate service, surrounded by the magnificent landscape given us from Mother Nature, rich and enchanting at its greatest. 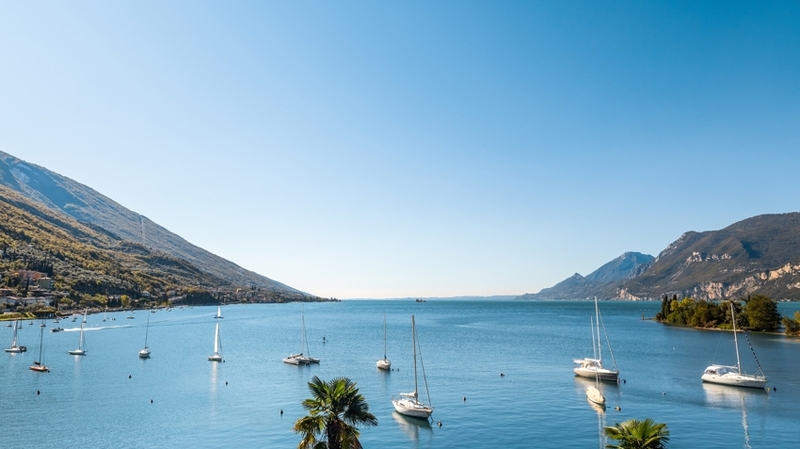 Vacation, wellness, sports, culture, wine and food, entertainment, nature, etc..: only name it and be sure on Lake Garda you will find it! Val di Sogno is a small creek on the biggest Italian Lake and the frame of its charming landscape live again in the hotel inner settings, giving peace of mind and wellness feelings throughout the comforts of a modernized and welcome structure: the lake-view entrance, the comfortable reading-room, the bar with panoramic terrace, the gardens with relax-zone, the outdoor heated swimming-pool .... 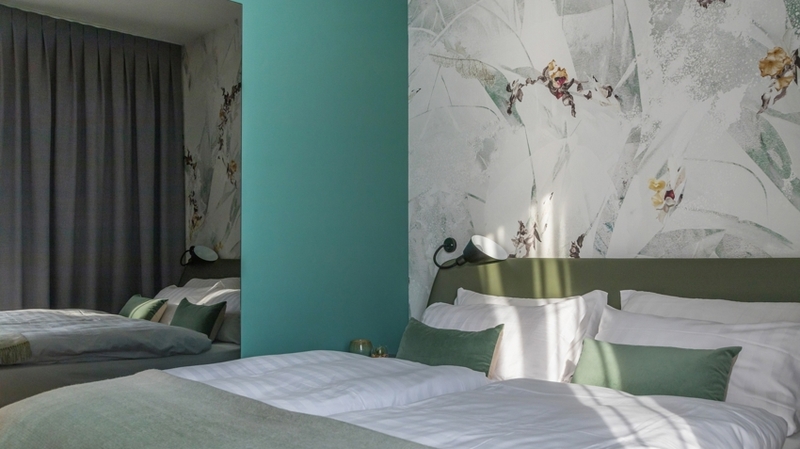 The rooms are thought to offer a pleasant and peaceful stay: furnished in a simple way, made of materials which surround us (wood, stone and marble) in respect of the environment. 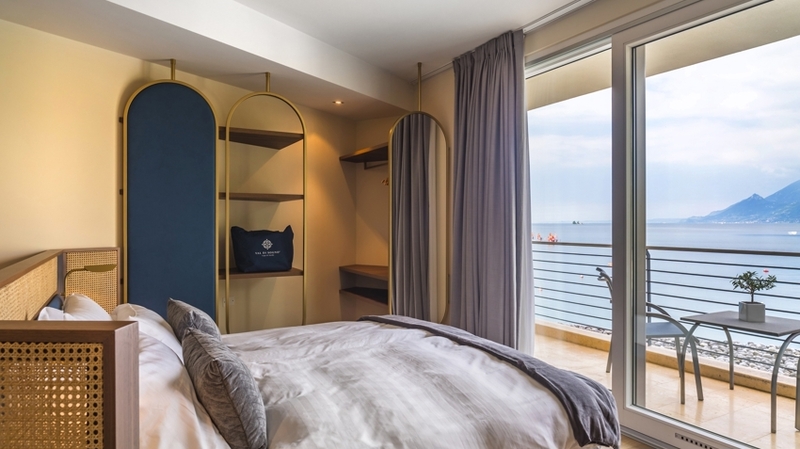 Every room has a balcony to the lake: the marvels of heaven, the mountain’s beauty, the fabulous play of colours and lights on the water and its murmur will lull you to a relaxing sleep, help you waking up in the morning and will enliven your days. We are ready to welcome you to our “home sweet home”. The exact location of paradise is unknown, but might very well be here. 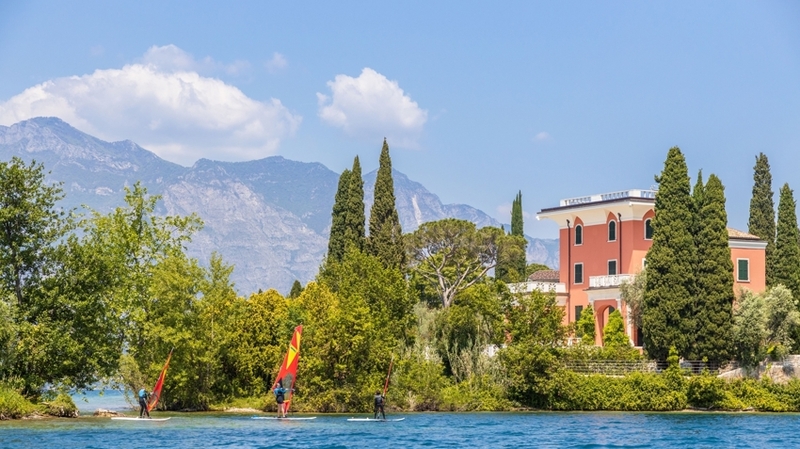 The Hotel Val di Sogno is a characteristic family-run ambience, signed by modern design, renowned for its accurate service, surrounded by the magnificent landscape given us from Mother Nature, rich and enchanting at its greatest. Vacation, wellness, sports, culture, wine and food, entertainment, nature, etc..: only name it and be sure on Lake Garda you will find it! Val di Sogno is a small creek on the biggest Italian Lake and the frame of its charming landscape live again in the hotel inner settings, giving peace of mind and wellness feelings throughout the comforts of a modernized and welcome structure: the lake-view entrance, the comfortable reading-room, the bar with panoramic terrace, the gardens with relax-zone, the outdoor heated swimming-pool .... 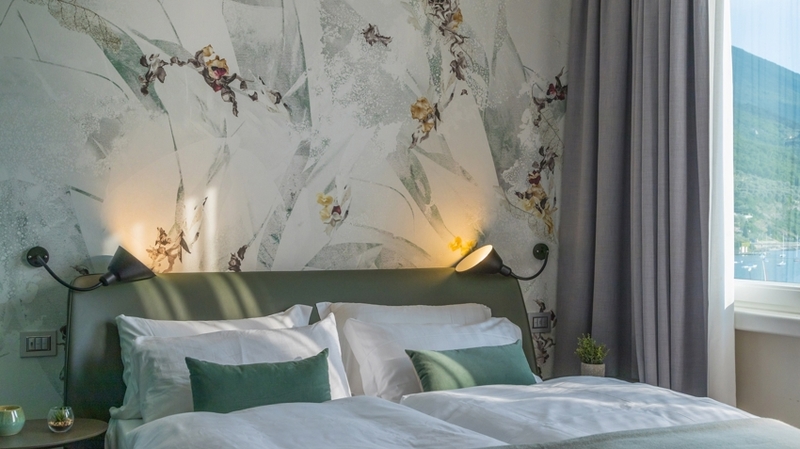 The rooms are thought to offer a pleasant and peaceful stay: furnished in a simple way, made of materials which surround us (wood, stone and marble) in respect of the environment. Every room has a balcony to the lake: the marvels of heaven, the mountain’s beauty, the fabulous play of colours and lights on the water and its murmur will lull you to a relaxing sleep, help you waking up in the morning and will enliven your days. We are ready to welcome you to our “home sweet home”. 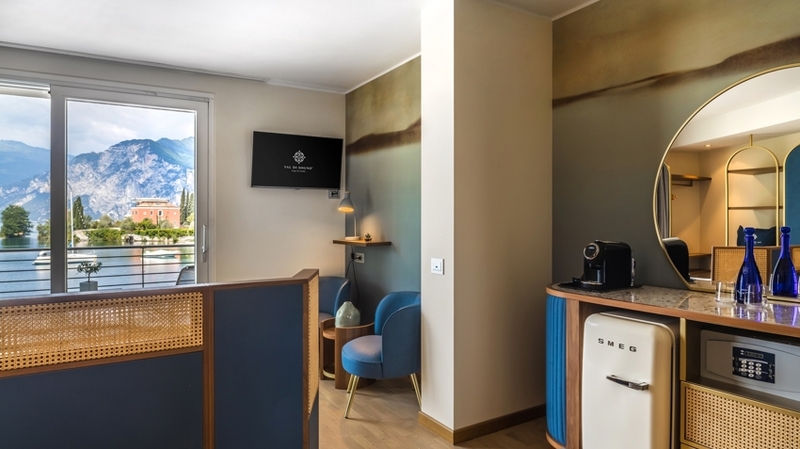 The Hotel Val di Sogno is a characteristic family-run ambience, signed by modern design, renowned for its accurate service, surrounded by the magnificent landscape given us from Mother Nature, rich and enchanting at its greatest. Vacation, wellness, sports, culture, wine and food, entertainment, nature, etc..: only name it and be sure on Lake Garda you will find it! Val di Sogno is a small creek on the biggest Italian Lake and the frame of its charming landscape live again in the hotel inner settings, giving peace of mind and wellness feelings throughout the comforts of a modernized and welcome structure: the lake-view entrance, the comfortable reading-room, the bar with panoramic terrace, the gardens with relax-zone, the outdoor heated swimming-pool .... 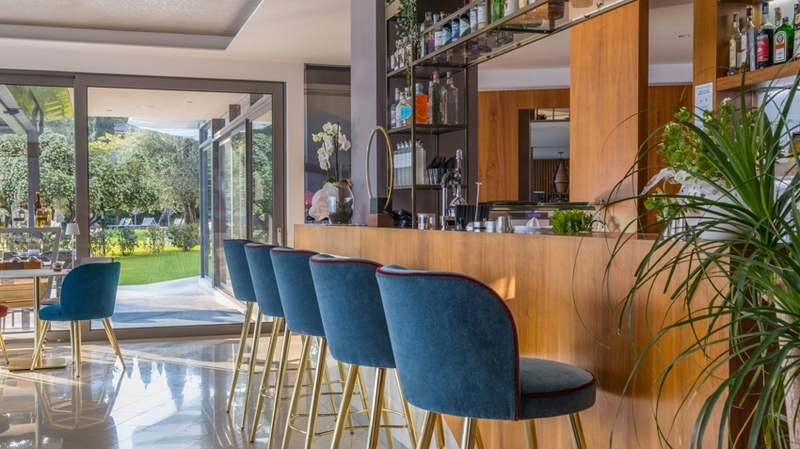 The rooms are thought to offer a pleasant and peaceful stay: furnished in a simple way, made of materials which surround us (wood, stone and marble) in respect of the environment. Every room has a balcony to the lake: the marvels of heaven, the mountain’s beauty, the fabulous play of colours and lights on the water and its murmur will lull you to a relaxing sleep, help you waking up in the morning and will enliven your days. We are ready to welcome you to our “home sweet home”. The exact location of paradise is unknown, but might very well be here. 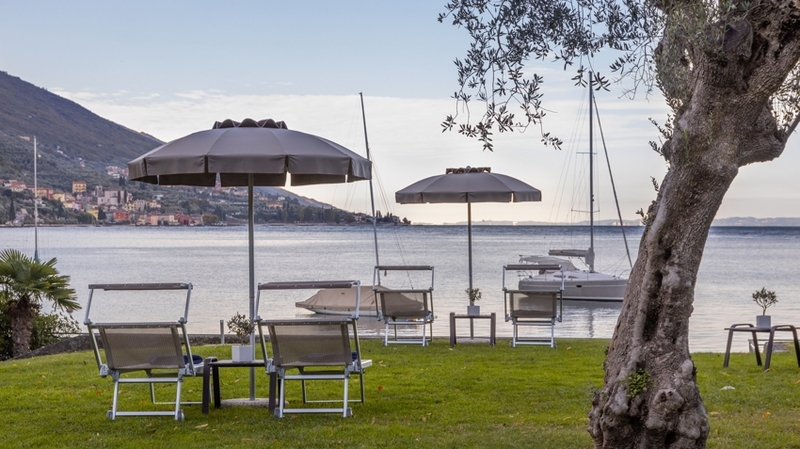 The Hotel Val di Sogno is a characteristic family-run ambience, signed by modern design, renowned for its accurate service, surrounded by the magnificent landscape given us from Mother Nature, rich and enchanting at its greatest. 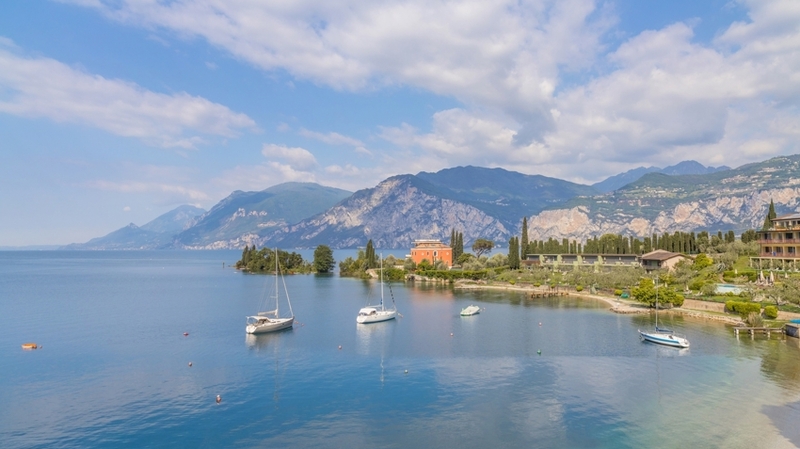 Vacation, wellness, sports, culture, wine and food, entertainment, nature, etc..: only name it and be sure on Lake Garda you will find it! Val di Sogno is a small creek on the biggest Italian Lake and the frame of its charming landscape live again in the hotel inner settings, giving peace of mind and wellness feelings throughout the comforts of a modernized and welcome structure: the lake-view entrance, the comfortable reading-room, the bar with panoramic terrace, the gardens with relax-zone, the outdoor heated swimming-pool .... 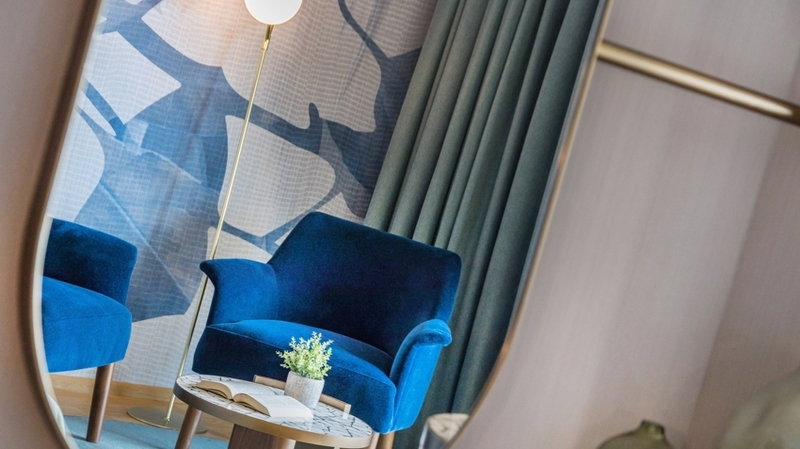 The rooms are thought to offer a pleasant and peaceful stay: furnished in a simple way, made of materials which surround us (wood, stone and marble) in respect of the environment. Every room has a balcony to the lake: the marvels of heaven, the mountain’s beauty, the fabulous play of colours and lights on the water and its murmur will lull you to a relaxing sleep, help you waking up in the morning and will enliven your days. We are ready to welcome you to our “home sweet home”.